Mellow Bakers are a bunch of people who want to bake all the recipes in Jeffrey Hamelman’s book Bread; not in too much of a rush, not too hardline, not too obsessive – sounds perfect! Anyway I joined up, sounded like fun and would encourage me to bake some new breads and think a bit harder about how I do it and how I can do it better! I made thehot cross buns in March – the Mellow Bakers trial run – I managed very successfully not to follow the method at all and just mixed an all-in-one dough, but it survived as choc chip hot crosses, probably not quite what JH had in mind! I made three different sorts of hot cross buns this Easter, easy Mumsnet ones, overnight stout and spice buns (both fab Dan Lepard recipes) as well as the choc chip ones and they were all different and better than last year’s according to the Eaters of Buns, so that was all right, phew! I had a crack at bagels, which I wrote about here, which wasn’t so successful, but on the plus side – I now know the theory of bagel making, both ways to shape them and have a collection of links to different recipes and got to watch some great clips on the Mellow Bakers site of pro bakers baking bagels! Anyway, that’s where I have got up to. We were very busy in the garden yesterday, as the temperature climbed to an official 18.9 C (about 23 in the sunshine). So we were clearing leaves, clipping brambles, seeing new shoots emerging everywhere. 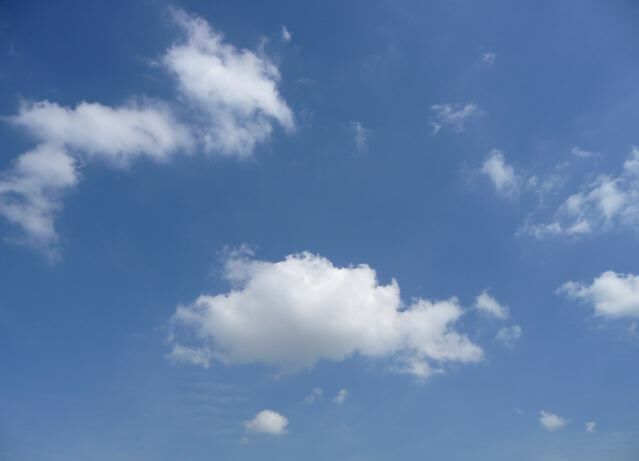 A blue sky day at last! 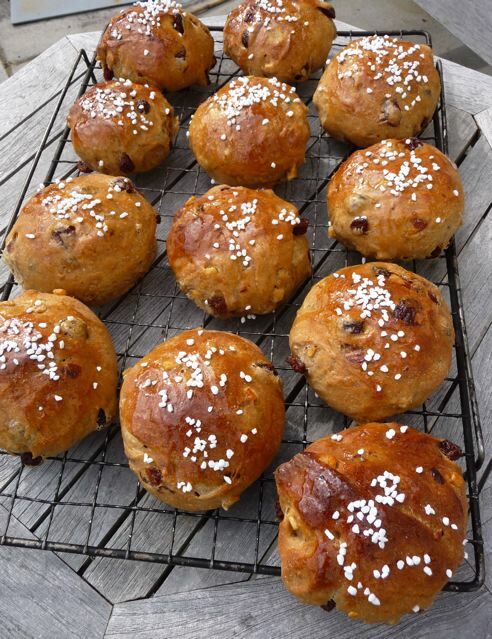 Here is another batch of those Dan Lepard spice and stout buns – recipe here – so good we had to have more once the first lot were eaten up. They freeze really well so that’s what we have done! This entry was posted in Bread, Mellow Bakers and tagged bagels, Bread, Dan Lepard, hot cross buns, Mellow Bakers, spice and stout buns on 10/04/2010 by Joanna.